Coming off the acclaim of his work on Kendrick Lamar’s “untitled unmastered” and his own “The Beyond / Where the Giants Roam” mini-LP, bass virtuoso Stephen Bruner, better known as Thundercat, turns to a clear lyrical message on “Drunk,” his first full studio album in four years. Clocking in at about 51 minutes and 23 songs, the record makes frequent use of instrumental interludes and brief tracks that explore bass riffs and offer morsels of the record’s greater theme. While I don’t normally obsess over mathematics when it comes to music, the brevity of the songs on “Drunk” is unusual, with a majority listed under two and a half minutes. Thundercat had a lot to lose with this choice: Very short song lengths can hurt an artist by creating a complacency that allows for unformed lyrical themes, half-hearted instrumentation and ineffective segues in tone. But while “Drunk” sometimes suffers from these issues, Thundercat is (mostly) able to stay on message. As implied by the record’s name, the theme of drunkenness is threaded throughout the track list. While he sometimes explicitly references alcohol as his ticket to insobriety, listening to the album makes clear that “Drunk” is not simply a reference to frequent drinking. Rather, the “drunkenness” portrayed on the album generalizes the word’s meaning even beyond its association with alcohol. According to Thundercat, to be “Drunk” is to find escape and avoid coping with the harsh realities of everyday life. Despite the short track’s tendency to scatter an album’s concept, “Drunk” clearly delivers its message and transforms the short format into an asset. At many points, Thundercat seems to play with the idea of short songs as a mirror of his and his company’s darting minds as they consider the different facets of life that warrant getting drunk – that warrant escape. “Rabbit Ho,” the opening track, invites the listener to descend into the drunken rabbit hole. “Captain Stupido” features Thundercat’s trademark humor as he describes his routine of escapism, a constant cycle of sleeping, partying and … masturbating. After a strong showcase of Thundercat and producer Flying Lotus’s instrumental capability in “Uh Uh,” the glittery “Bus in These Streets” offers a brief narrative that has Thundercat touting the interconnectedness of technology until he loses it when he realizes the merit of disconnecting and dealing with the world as is. “A Fan’s Mail (Tron Song Suite II)” strongly considers how much better life would be as a cat, acting as a sequel to “Tron Song,” the ode Bruner wrote for his cat on his last album. This seemingly tangential idea still illustrates Thundercat’s growing animus towards reality, as he hopes he can turn into a carefree cat to rid himself of the hardships of sentience. Songs like the short tracks “Lava Lamp,” “Jethro” and “Blackkk” help bring the listener back to the main focus on life’s harsh realities. Most effective at delivering this message, however, is “Walk On By,” featuring Kendrick Lamar. This track retains much of the highly acclaimed jazz sound Thundercat contributed to Lamar’s two previous studio efforts, leaving Lamar’s strong verse sounding like a wrongfully excluded “untitled unmastered” B-side (which I guess would make it a “To Pimp a Butterfly” C-side). Of the few songs that deviate a bit from the main theme of “drunkenness,” “Friend Zone” and “Tokyo” easily stand out as the strongest tracks, containing levity in their instrumentation and lyricism. “Friend Zone,” despite producer Mono/Poly’s serious, hard-hitting instrumental backdrop, provides a pretty humorous story of Thundercat telling a girl that if he’s stuck in the friend zone, he’ll have to pass so he can play video games. 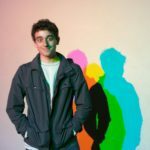 “Tokyo” features some of Bruner’s most hilarious lyrics, in which he details his love for anime, a topic that actually helped him bond with Flying Lotus, his main collaborator and producer, when they first met. 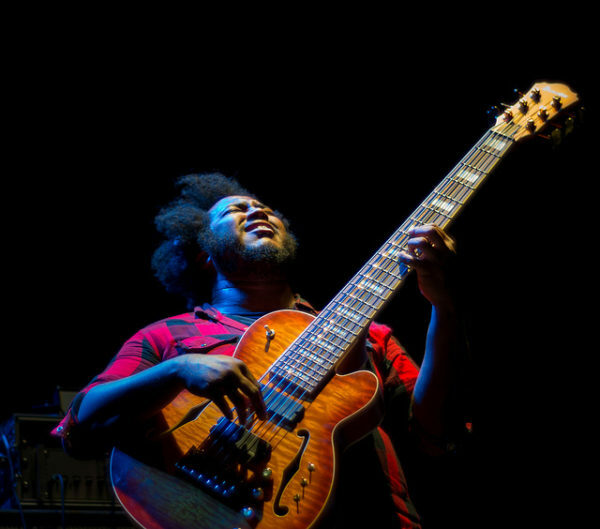 Then we see Thundercat deal with issues of loneliness and violence, further expanding on issues of race in the almost sarcastically positive-sounding “Jameel’s Space Ride” and “The Turn Down,” which is very reminiscent of the jarringly happy closing track to alternative hip-hop group clipping.’s recent “Splendor & Misery.” In almost all these cases, Bruner never actually wants to deal with these issues head-on. Instead, he yearns to escape to space (later on, “Drink Dat” refers to spacing out and getting wasted). In the engaging yet off-putting titular track, Thundercat finally sobers up and realizes that he has just been trying to escape from reality all this time. He makes a promise to himself, insisting that it is better to live than to be “dead alive.” Throughout “Drunk,” Bruner ponders whether it’s easier for him to live in a world full of inevitable hardships or to leave the world entirely, lost in his own mind. This choice is central to the concept of escapism, with Thundercat citing constant overwhelming existential dread as a reason to get drunk. Thundercat fears this line of reasoning has affected too many of us, and on the final track of the album hopes that we all get a “DUI,” sober up and live in reality. However, in a twist foreshadowed by its reprisal of “Rabbit Ho,” he can’t help but look at the bottle the same way he did in the beginning, tempted to escape in a gulp. In this humbling turn of events, Thundercat realizes he too is burdened with the choice of continuing to be “dead alive,” and as the album crescendos and drones with a heightened sense of urgency, he passes that choice onto you.